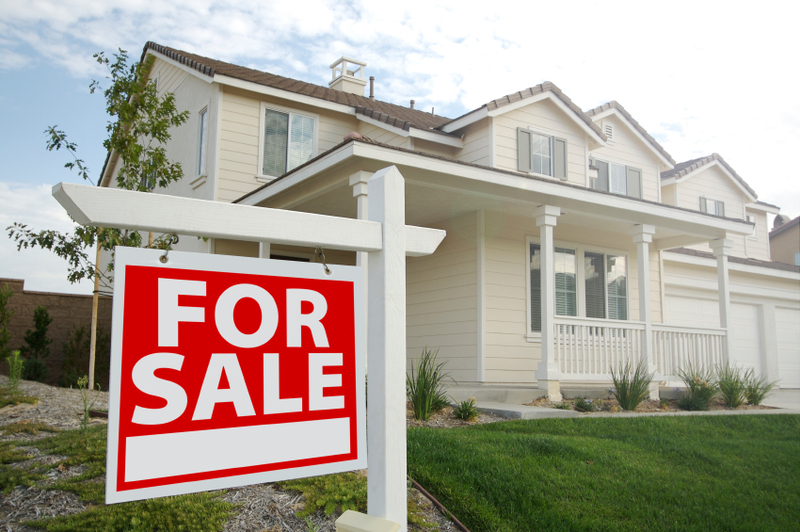 As a layperson who has sold four primary residence homes in the last eight years, I know all too well how stressful the home selling process can be. If you're considering putting your home on the market, here are some tips that might help you dodge a few stress bullets along the way. I can't stress enough the importance of choosing the right realtor. Before you start the interview process, write down your expectations. Are you a detail-oriented person who wants to know every little thing that happens? If so, make sure your realtor knows that and agrees to it. (I had a realtor once who refused to update me on showings more frequently than once a week.) Whatever your expectations are, be specific with your realtor and get their buy-in before you sign the contract. Make sure your realtor is letting you make the decisions and not just pushing their agenda on you. For instance, you will be able to set how much notice you need for a showing. The less notice that is required the better, but you also want to make sure the house is in tip-top shape for each showing. So if you require 24-hours' notice, don't let your realtor push you into agreeing to two hours. While your home is on the market, it will be far less stressful if you confine your family to a smaller area within the house. For instance, have everyone use the same bathroom and maybe designate the front room as off limits. For me, one of the most stressful things when selling a house is trying to get it in perfect condition for each showing. Living in a smaller area of your house allows you to have a few rooms that remain untouched, and therefore don't have to be cleaned each time. Selling a house requires mounds of paperwork to be signed by all parties. Having to physically meet with your realtor for each of these signatures is a pain in the backside. Docusign is a digital (and legal) program that sends forms electronically to be signed by each party. What used to take hours and tanksful of gasoline can now be done literally in seconds while you sit at home. We have often talked about the difference between COST and PRICE. As a seller, you will be most concerned about ‘short term price’ – where home values are headed over the next six months. 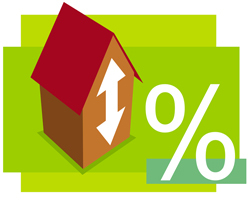 As either a first time or repeat buyer, you must not be concerned about price but instead about the ‘long term cost’ of the home. Let us explain. 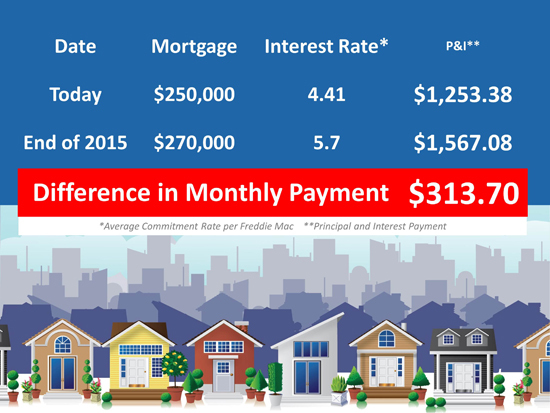 Recently, we reported that a nationwide panel of over one hundred economists, real estate experts and investment & market strategists projected that home values would appreciate by approximately 8% from now to the end of 2015. Additionally, Freddie Mac’s most recent Economic Commentary & Projections Tablepredicts that the 30 year fixed mortgage rate will be 5.7% by the end of next year. Hire residential landscape architects to help with all aspects of landscape design, from selecting or designing outdoor furniture, to siting a detached garage or pergola. 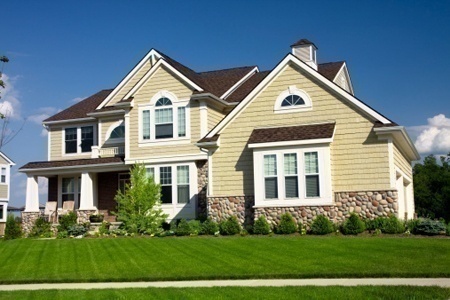 The size of a typical new single-family home rose in third quarter of 2013, continuing a post-recession trend. The recent increase in size is likely due to an atypical mix of buyers. According to data from the Census the Quarterly Starts and Completions by Purpose and Design survey, the average and median size of single-family homes that began construction rose during 2013. For the third quarter alone, the average single-family square footage increased from 2,646 to 2,701, while the median rose from 2,446 to 2,491. On a less volatile one-year moving average, the trend of increasing size during the post-recession period is clear. Since cycle lows and on a moving average basis, the average size has increased almost 12% to 2,652, while the median size has increased more than 15% to 2,433. 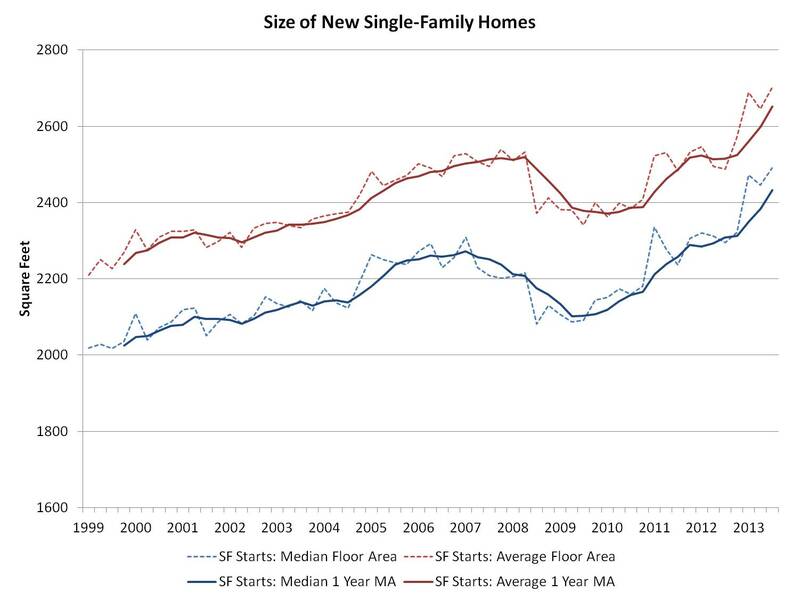 As noted in NAHB’s analysis of 2012 Census construction data, the recent rise in single-family home sizes is consistent with the historical pattern coming out of recessions. Home sizes fall into the recession as some homebuyers cut back, and then sizes rise as high-end homebuyers, who face fewer credit constraints, return to the housing market in relatively greater proportions. Planning Commission has scheduled a public hearing on February 11, 2014 at 6:30 p.m. in City Council Chambers located at 3002 Wetmore Avenue in Everett to address revisions to the Development Agreement in response to Planning Commission and citizen feedback received to date. On Jan. 7, 2014, Planning Commission held a public hearing to address changes to the Development Agreement proposed by Polygon. No action was taken on the proposed changes, which include a request to change the development on the Simpson Pad from a combination of single-family detached, single-family attached and multiple-family housing to single-family detached only. Planning Commission has requested more information. The proposed action includes construction of a mixed-use commercial/residential development, shoreline and habitat restoration, and rehabilitation of a former, mostly industrial site. The proposed Master Plan includes the construction of up to 900,000 square feet of mixed commercial use; 200,000 square feet of hotel space; and up to 1,400 residential units (multi- and single-family). The ultimate mix of uses constructed will be determined by market demand and the land use capacity of the site (type, location, and size of uses and structures, and infrastructure capacity). A Draft Environmental Impact Statement (DEIS) was issued on December 21, 2007, and a Final Environmental Impact Statement (FEIS) was issued on June 11, 2008. Since 2008, the City has issued four Addenda to the Everett Riverfront Redevelopment FEIS to address new information. If you have any questions on the proposal or would like to be added to the mailing list, please contact Dave Koenig at 425-257-8736 or Mary Cunningham at 425-257-7131. 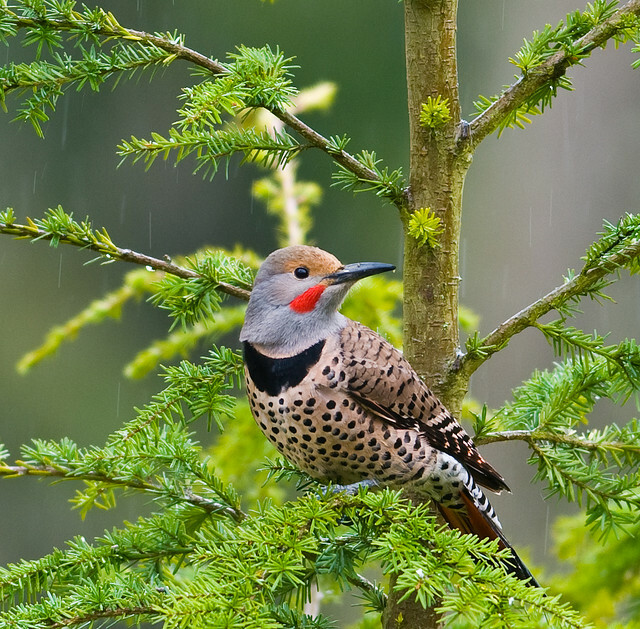 Bird watching and bird feeding have taken off in and around Seattle during the past couple of decades, partly because of the area’s variety of appealing birds. Enjoying nature without messing with it too much has never been easy for humans. But we can rise to that challenge right in our own backyard through our relationship with birds. Bird watching and bird feeding have taken off in and around Seattle during the past couple of decades, partly because of the area’s variety of appealing birds. Even Seattle’s new mayor, Ed Murray, is an avid bird-watcher. Birds may need a little help finding food and water this time of year, so lend them a lifeline. Water is the easiest to provide. You can reuse a plastic saucer or a plastic or metal lid or container. Place it on the ground with rocks or branches around it, so birds can perch and drink while staying dry. They don’t want to get their feathers wet when it’s cold. Don’t let the birds’ water stay frozen solid for very long. Bring the water container in when it’s freezing, and set warm water out during the day. An easy way to provide food for birds in winter is to have native plants in the yard with berries that the birds like. The Seattle Audubon Society recommends snowberry, huckleberry, elderberry, mountain ash and honeysuckle. Non-natives such as cotoneaster and pyracantha will also draw birds to your yard. Keep water accessible for birds all year. Change the water every three days, or more regularly if it gets soiled by birds or debris. Scrub your birdbath occasionally with an old toothbrush, using a solution of equal parts water and white vinegar. Rinse with plain water. You may want to set out birdseed during winter, spring or fall, especially if you lack berries in your yard. You don’t need to fill bird feeders in the summer because most birds can find abundant insects. To attract hummingbirds in summertime, use native plants as well as nonnative annuals such as salvia that boast the brightly-colored flowers that they like. Your local garden store can recommend the best varieties. With a container on your deck that has one of those annuals, you can sit and watch hummingbirds just a few feet away. Bird feeders and birdbaths should be thoroughly cleaned twice a year. The Seattle Audubon Society recommends soaking feeders for an hour in a solution of one cup of bleach to one gallon of water. Position your feeders and birdbaths so cats can’t easily pounce on birds. Don’t use pesticides in your yard. One of the greatest hazards to birds is colliding with windows. If birds continually hit a certain window, try moving houseplants away from the window. Birding-supply stores, such as the Seattle Audubon store (seattleaudubon.org) and the Wild Birds Unlimited chain (wbu.com), sell anti-collision window decals. Public Health — Seattle & King County recommends not leaving birdseed in a feeder overnight to avoid attracting rats. The exception is Nyjer (also called thistle) seed, which attracts a few specific species of birds but generally not rats or other critters. Suet feeders in particular are rat magnets. They hold cakes or balls of mixed seeds. Rats will do their own bird imitation and leap as high as 8 feet to get to a suet feeder. If you store birdseed other than Nyjer in your basement or garage, use a metal container — rats will chew through plastic. Whether you live in the city, suburbs or backwoods, seeing an Oregon Junco or hummingbird or one of their feathered friends in your yard can make your day. Set up your yard for birds, and you’ll make their day better, too. Tom Watson is project manager for King County’s Recycling and Environmental Services, and EcoConsumer is his biweekly column. He can be reached at tom.watson@kingcounty.gov, 206-477-4481 or via KCecoconsumer.com. 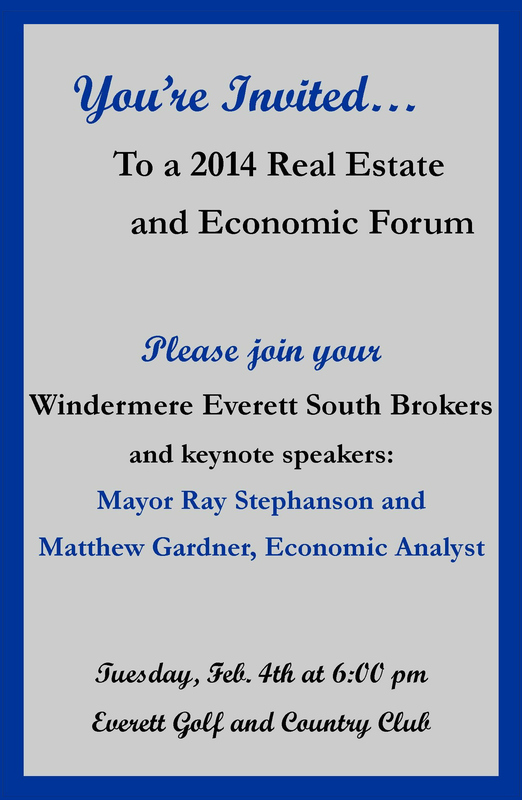 I hope you can join me on Tuesday at the Everett Golf and Country Club for a talk with Everett's Mayor, Ray Stephanson and Economist Matthew Gardner. If you would like to be there, please give me a call or email to RSVP. Elly@Windermere.com.